Learn more about the software available in my book: Sound Card Oscilloscope - Build Better Electronic Projects. 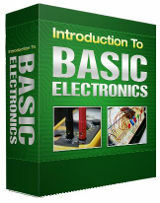 I cover two very capable software applications that turn your PC into a powerful oscilloscope and signal generator. Now that you have constructed your sound card oscilloscope probe circuit it's time to install some software so that you can make use of it. Non-calibrated amplitude level. Look out for a PC scope calibration device in a later project. Possibility of damage of a PC when connecting to unknown signal sources. As it stands neither the oscilloscope software nor the circuit that you just built is capable of calibration. That is to say the scope will display a moving signal but you will not be able to determine the strength or amplitude of the signal under test. 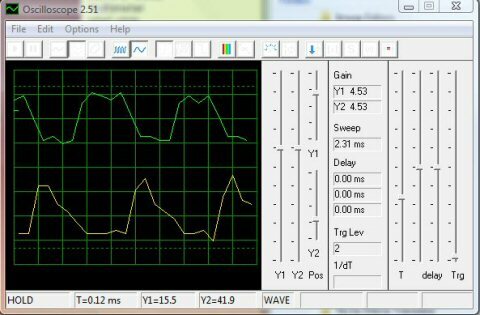 In a future project I will show you how to build a simple circuit that will enable you to calibrate the PC Oscilloscope so look out for that. By using a pair of head-to-toe connected diodes we have limited the input voltage to the sound card. This will give you some protection but it will not guarantee to protect your PC against high voltage inputs. You should never apply signals of more than 10 volts to this probe circuit. 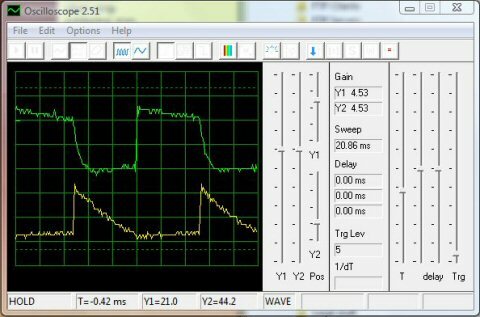 This is a limitation but nevertheless your simple and cheap PC based oscilloscope can be very useful if you have no other way of looking at your circuit waveforms. Here are some examples of the traces you can expect at different frequencies. 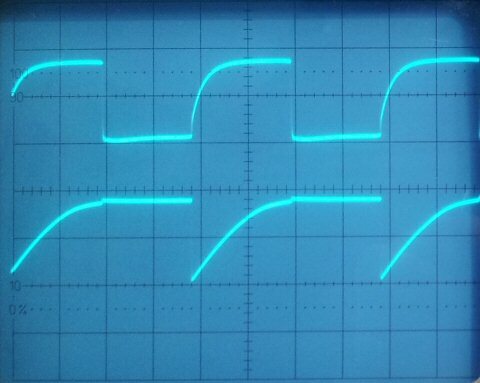 They are displaying waveforms from a simple astable multivibrator circuit. 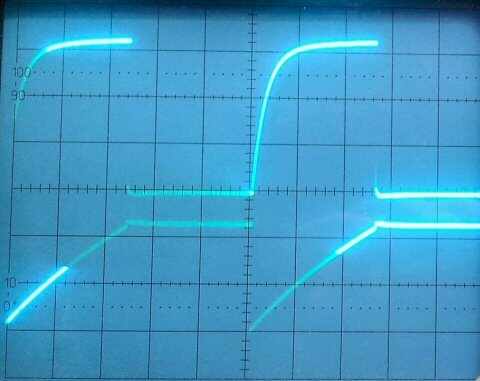 Here is the display with signals taken from an astable multivibrator running at 100Hz. The signals were taken from the collector and base of one of the transistors. Compare this to the traces from my elderly 100MHz Hameg oscilloscope displaying the same signals below. The traces on the Hameg are cleaner as you might expect and the sound card traces are inverted. Apart from that the PC is providing a reasonable representation of the signal. Lets see what happens when we increase the frequency from 100Hz to 1250Hz. 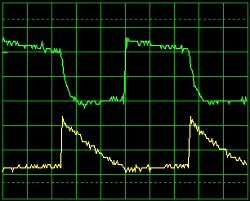 At 1250Hz the PC is starting to round off the edges of the square wave from the collector and the triangle wave from the base. This is due to the limited bandwidth and inability to reproduce the harmonic frequencies present in a square wave signal. If I had used pure sine wave signals to test it on the you should see sine waves all the way up to 20KHz. The reference signal on the Hameg provides a better representation of the test signals but it also cost me a lot of money. The PC scope is almost free.